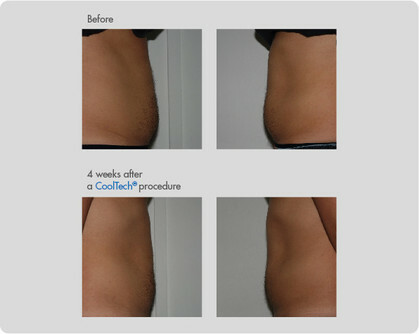 HOW DOES A COOLTECH® PROCEDURE WORK? Do you want to get rid of the stubborn fat? Do you think the only solution is to work out in the gym or a liposuction? If you still think this way it’s just because you don’t know the CoolTech® procedure yet. 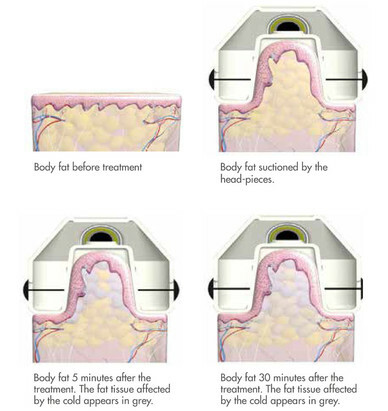 CoolTech® consists in freezing the fat tissue, while respecting the collagen and skin elasticity, and afterwards, it removes the fat cells from the body in a natural and progressive way through the lymphatic system. It is a non-invasive procedure, without the need to use needles or scalpel and pain-free. During a CoolTech® treatment, around 60 minutes, you will be lying down and being able to read a book, work on your ipad or talk on the phone with no rush.